On Thursday, January 21, 2016, Barley Station will release a new single titled “Like Destiny”. Blending folk and rock with progressive beats and pop sensibilities, this one has been called the best yet by those who have heard the song. The song will be available at most digital retail outlets. “You’ll want to find a pretty spot under the old oak tree by the river and let Barley Stations new single ‘Like Destiny’ flow right through your soul. This entry was posted in Music, Music review, new music, New Release, new single, recording artist, song review, Uncategorized and tagged alternative pop, Barley Station, Canada, folk/pop, folk/rock, indie, Like Destiny, Missouri, music, pop, randy wayne belt, rock, SMC, song review, Starlight Music Chronicles, USA on January 8, 2016 by Randy Wayne Belt. As a connoisseur of original Christmas music it’s always great to find something new that is full of festive joy, delight, and fabulous vocals! “Christmas For Two” by Canadian recording artist Olivia Penalva is just one of those songs. With a fresh clean sound that has a somewhat Jazzy and R&B old motown rhythmic feel combined with a very contemporary vocal and lyric, Olivia delivers a song that reminds us of the joy of the season, and just enjoying life and having fun. It is the perfect Christmas feel-good song! As a singer, not only on this song, but in all of her work, her voice has a timbre and character that make one think of a voice like that of Andrea Wittgens, Nora Jones, or Colbie Caillat. Olivia’s voice has a mature tonal quality to it and a special warmth with a sultry yet innocent character to it that will capture your heart and ears. Perhaps it’s that innocence of youth that can best create the atmosphere of a joyous life-is-good Christmas song. At a mere 15 years old, Olivia has already begun making a splash in music, and the addition of “Christmas For Two” to her repertoire will only further the ripples created by the waves she’s already making. This new Holiday song has already gained some radio play alongside other well established artists with Christmas songs on this years Christmas playlists such as 103.5 QMFM in her home area of Vancouver, BC; Majic 100 in Ottawa, ON and more. But this isn’t her first airplay. Then there is Miss Penalva’s recent single “Ferris Wheel”, a song that has a carefree atmosphere with a strong rhythm section, once again, giving a solid beat behind the song which is, more than less, a celebration of life. With another powerful vocal performance, the song will simply leave you in a good mood! The control she has over her voice allows her to naturally move around her notes and move in and out of vocal inflections with great ease. This is a very note worthy song also garnering airplay support. Another song I should mention is a song called “Forgettable” which Olivia co-wrote and collaborated on with a Canadian DJ Group called Project 46 who released it as part of their own album called “Beautiful”. And indeed it IS a beautiful! At this stage in her career, the music seems to be defined by strong rhythm section and very powerful vocals. So don’t shrug off the “fifteen years old” part because her voice is like that of an experienced 20-something, and one only needs to be reminded that when LeAnn Rimes came out with “Blue” and floored everyone with her mature sounding voice at age 14, they said the same thing with a similar “Wow” effect. Her voice simply commanded respect and admiration. This entry was posted in Artist Interview, indie, Music, Music interview, Music review, Music Video, new music, new single, recording artist, song review, Uncategorized and tagged alternative pop, Barley Station, British Columbia, Canada, Christmas, Christmas For Two, DJ, Ferris Wheel, Forgettable, Holiday, indie, interview, Magazine, Missouri, new release, Olivia, Olivia Penalva, pop, Project 46, Randall Belt, randy wayne belt, review, Starlight Music Chronicles, STL, USA, Vancouver, Vernon on December 19, 2015 by Randy Wayne Belt. 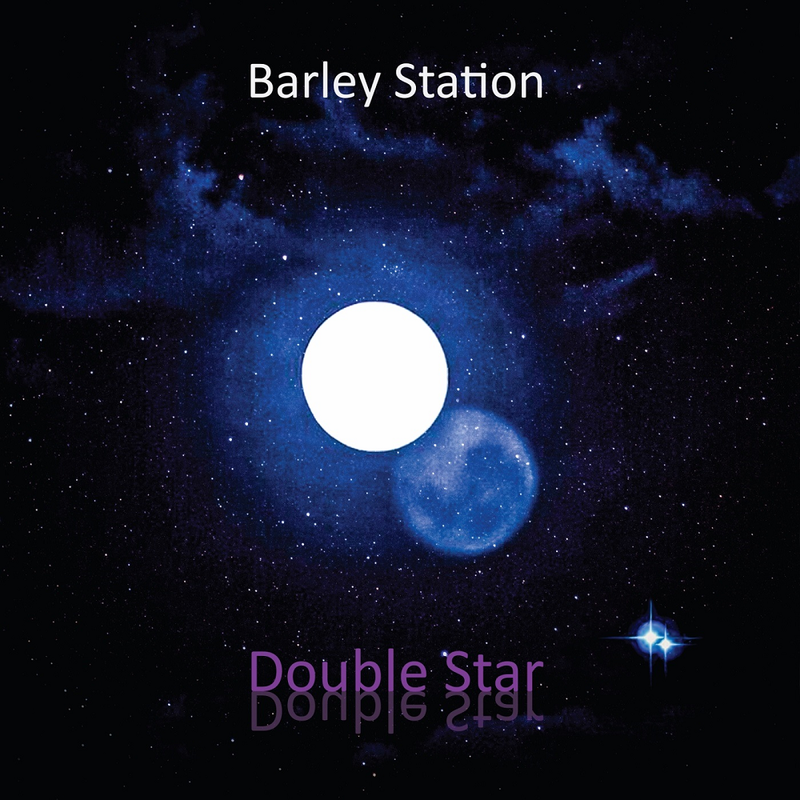 “Double Star” is yet another single from Barley Station soon to be released. The artwork is finished and a release date is set for October 15, 2015. With a reputation of blending and jumping around genres a bit, as usual, this one’s different. So here is the preview of the beautiful album art which was taken of a real “blue moon”, so we can say this is “once in a blue moon” single song art with certainty. This entry was posted in Art, indie, indie bands, Music, New Release, new single and tagged adult alternative, Alberta, Barley Station, Blue Moon, CA Marshall, Canada, Cover Art, Double Star, Edmonton, Missouri, music, new music, new release, October releases, Randall Belt, randy wayne belt, recording artist, single release, Starlight Music Chronicles, USA on October 5, 2015 by Randy Wayne Belt.